The Bay Area of California is one of the worst spots in America for bed bugs. Luckily, HeatRx is here to take care of you! Serving the Bay Area of California. 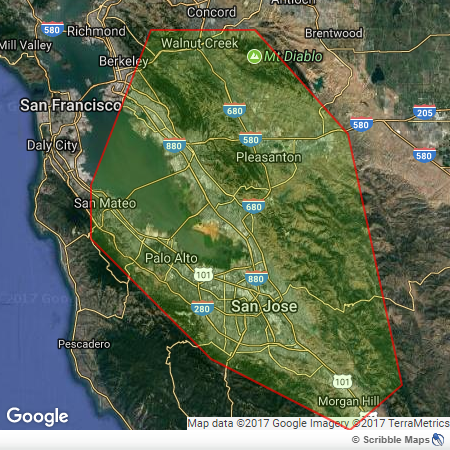 We service the Bay Area within about 60 minutes of Fremont, California. If you don't see you city in the list below don't panic-- just give us a call. We can probably help you out. HeatRx is proud to offer the Bay Area an effective, natural and chemical free way to get rid of bed bugs. No this isn't some magic potion we make with essential oils and rare or exotic plants. Bed bugs simply cannot live for long in temperatures that exceed 120 degrees. Our preferred treatment is heat to exterminate bed bugs! Every property is different. Our bed bug expert will create a plan customized to your situation. If you suspect bed bugs. We can help. Bed bugs google how to avoid HeatRx. We use the best equipment to eliminate bed bugs. Give us an opportunity to provide a total property inspection for FREE. We will find the bugs giving you trouble and give you a written quote for services.